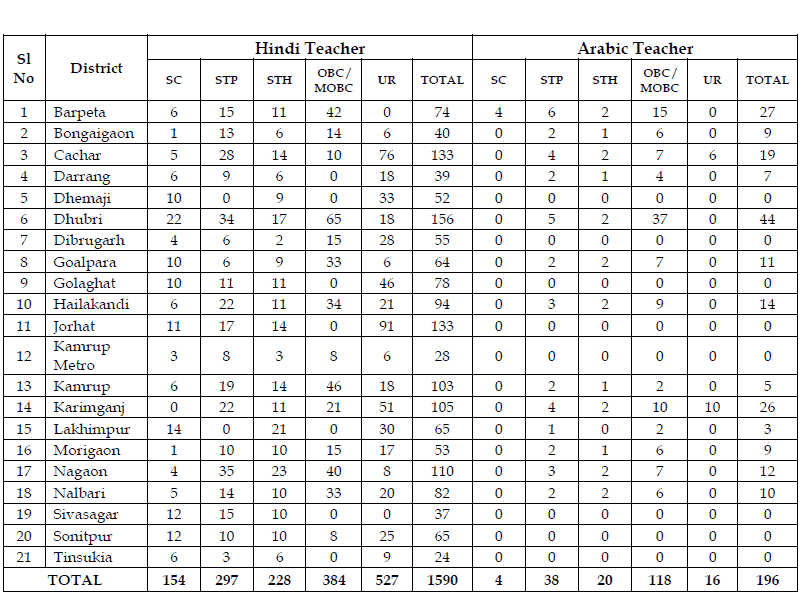 DEE Assam Teacher Recruitment 2017 Online Application Form for total 6027 Lp & Up Primary Teacher vacancies advertisement has been publish today. DEE Assam Recruitment 2017 Advertisement Notification Apply Online deeassam.gov.in for the post of Lp & Up Primary Teacher this is the Latest Job & Careers opportunities in Directorate of Elementary Education Assam. Directorate of Elementary Education Assam has recently publish an advertisement notification for Lp & Up Primary Teacher Posts vacancies jobs opening for April 2017. (New) RMSA Assam TET 2017 Notification – Last date of submitting application form is 31st August 2017. 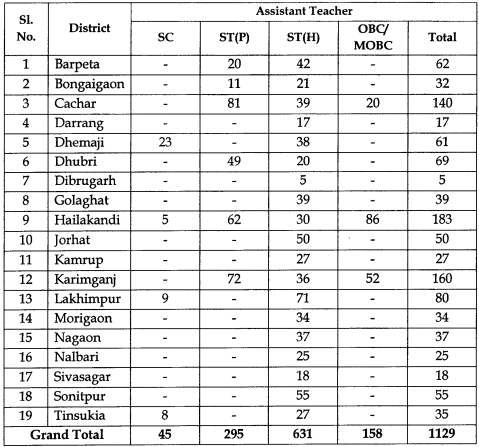 Total vacancies in Directorate of Elementary Education Assam (DEE Assam) Lp & Up Primary Teacher post details are given below. Minimum educational qualification for DEE Assam Recruitment 2017 for the Lp & Up Primary Teacher posts is given below. Lower Primary Schools 50%in Higher Secondary (or its equivalent) with LPTET and 2-YearDiploma in Elementary Education from recognized institutes. Graduate degree from UGC recognized University with LP TET and 2-YearDiplomain Elementary Education from recognized institutes. 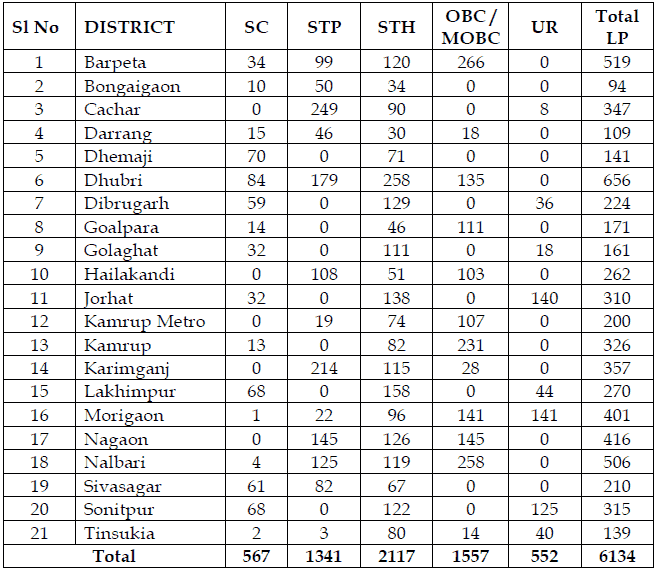 (Candidates who have passed TET for 6th Scheduled Areas are not eligible as per Govt. letter vide No. PMA.345/2016/Pt-II/19 Dated 08/12/2016 and candidates, who have passed TET for Madrassa are not eligible for the post of Assistant Teacher as per Govt. Notification vide No. ASE.675/2013/38 Dated 17110/2015). A candidate must be not less than 18 years of age and not more than 43 years of age as on 1st January, 2017.Relaxation of upper age limit will be considered for SC, ST (P),ST(H) and PH candidates for another 5 years, as per the Govt. of Assam OM No. ABP.06/2016/04 dated 03/03/2016 & No. ABP.06/2016/07 dated 26/09/2016. A candidate must be not less than 18 years of age and not more than 43 years of age as on 1st January, 2016, provided the candidates have attained the necessary educational or other qualifications prior to crossing of their existing upper age limit of 38 years. Relaxation of upper age limit will be considered for SC, ST (P), ST (H) and PH candidates for another 5 years, as per the Govt. of Assam OM No. ABP.06/2016/04 dated 03/03/2016 & No. ABP.06/2016/07 dated 26/09/2016. Starting Date to Apply Online Application Form: 08-04-2017. Last Date for Submission of Online Application: 30-04-2017. The eligible candidates shall apply online in the website www.lpupteachers.com from 10:00 AM of 08/04/2017 to midnight of 30/04/2017. No offline application will be received in the office of the Director of Elementary Education, Assam. The regular teachers working in LP School are not allowed to apply in any posts in LP Schools and regular teachers working in UP Schools are not allowed to apply in any posts in UP Schools. 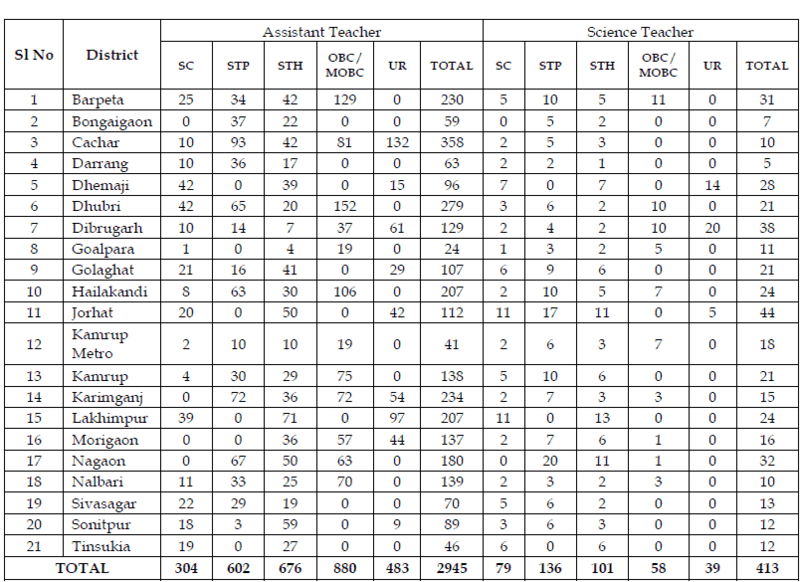 However, regular LP teachers if otherwise eligible may apply in UP Schools through proper channel only. All eligible contractual teachers may apply to anyone of the posts. A candidate can apply only once in any of the districts mentioned above, if found otherwise the candidature of the candidate shall be cancelled. 7. Scanned Signature (30 KB to 40 KB) 8. BPL Certificate from concerned authority, by BPL Candidates (40 KB to 50 KB). After successful submission of the online form, candidates shall take a print out of the form and submit the same along-with self-attested copies of mark-sheets and certificates in support of educational qualification, caste, disability, TET, DElEd etc. at the time of document verification before the Selection Committee. Candidates should be cautious while submitting the online application form as once the online application is submitted against a particular Roll Number of TET examination, they will not be allowed to submit the online application form for second time. After submitting the online application form, the candidates will get a Unique Number against the submitted application and will keep a copy of the unique Number for all future references. Candidates may note that failing to appear before the Selection Committee for verification of documents on the scheduled date and time will result cancellation of their candidature. No further communication in this regard will be entertained. The office will not be responsible for any lapse in submission of online application due to any technical problem. The following self-attested copies of certificates and documents to be submitted with the print-out copy of the online application and original testimonials to be produced before the Selection Committee. Mark sheet of H. S. (Senior Secondary)/ Graduation Examination. Certificates in support of Schedule Caste/ Schedule Tribe (Plains or Hills)/ OBC/ MOBC. The candidates have to deposit an amount of Rs. 200/- [Rs. 150/- for SC, ST(P), ST(H) candidates and free for BPL candidates] in the form of Indian Postal Order in the name of Director of Elementary Education, Assam, Kahilipara, Guwahati-19. The candidates must have to submit the IPQ in original at the time of document verification only. The candidates have to deposit an amount of Rs. 200/- [Rs. 150/- for SC, ST(P), ST(H) candidates and free for BPL candidates] in the form of Indian Postal Order in the name of Director of Elementary Education, Assam, Kahilipara, Guwahati- 19. The candidates must have to submit the IPO in original at the time of document verification only, before the District Level Selection Committee of the district applied for. DEE Assam Teacher Exam Questions Answers. This mock test having question each, with four choices. On each click on answers system will tell you where the answers is correct or incorrect. There many online practice set of Sarkari Naukri Exam Question answers quiz. 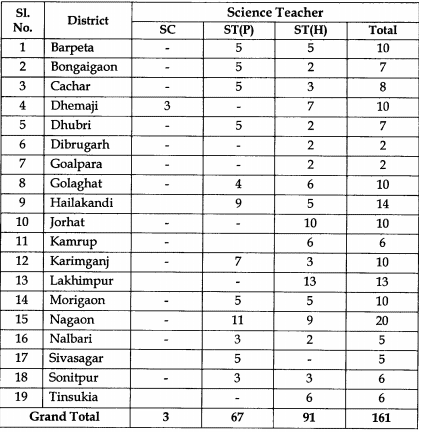 DEE Assam Teacher Recruitment 2016 Online Application Form for total 11278 Lp & Up Primary Teacher vacancies advertisement has been publish today. 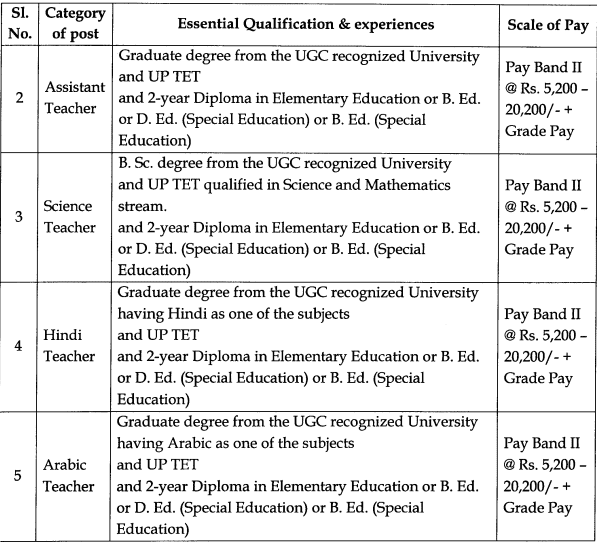 DEE Assam Recruitment 2016 Advertisement Notification Apply Online deeassam.gov.in for the post of Lp & Up Primary Teacher this is the Latest Job & Careers opportunities in Directorate of Elementary Education Assam. Directorate of Elementary Education Assam has recently publish an advertisement notification for Lp & Up Primary Teacher Posts vacancies jobs opening for August 2016. In view to support, strengthen and improve the quality of Elementary Education in the state of Assam in compliance with the Right to Education Act, 2009 and as per the provision of the Assam Elementary Education (Provincialisation) Rules, 1997 as amended in 2005 and 2012 and subject to approval of the Post-Based Roster Register from the WPT & BC Department, Personnel Department and subject to approval of the vacant posts from Finance (SIU) Department, online applications are hereby invited from the LP TET and DElEd qualified candidates, who are Citizens of India as defined in Article 5 to 8 of the Constitution of India for filling up of 11278 Nos. 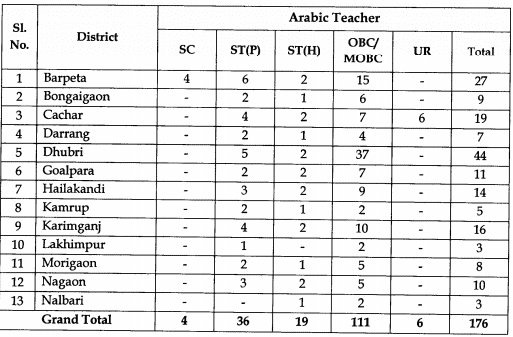 of regular vacant posts of teachers in Lower & Upper Primary Schools under the Directorate of Elementary Education, Assam. The category wise number of vacancy may increase or decrease after obtaining approval from the concerned departments. (New) RMSA Assam TET 2016 Notification – Last date of submitting application form is 31st August 2016. 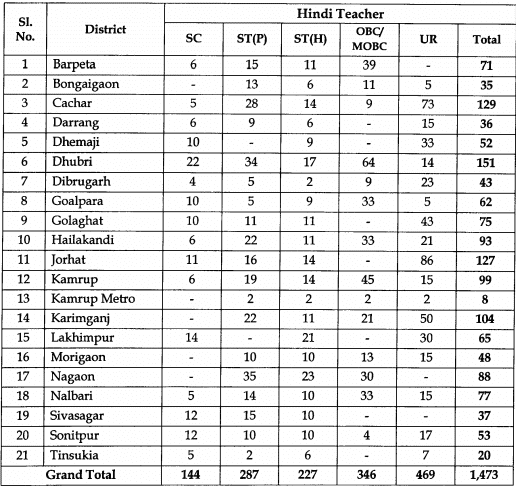 Minimum educational qualification for DEE Assam Recruitment 2016 for the Lp & Up Primary Teacher posts is given below. A candidate must be not less than 18 years of age and not more than 43 years of age as on 1st January, 2016, provided the candidates have attained the necessary educational or other qualifications prior to crossing of their existing upper age limit of 38 years. Relaxation of upper age limit will be considered for SC, ST (P), ST (H) and PH candidates for another 5 years, as per the Govt. of Assam OM No. ABP.06/2016/04 dated 03/03/2016. Starting Date to Apply Online Application Form: 01-09-2016. Last Date for Submission of Online Application: 30-09-2016. The eligible candidates shall apply online in the website www.lpupteachers.com from 10:00 AM of 01/09/2016 to midnight of 30/09/2016. No offline application will be received in the office of the Director of Elementary Education, Assam. The candidates have to deposit an amount of Rs. 200/- [Rs. 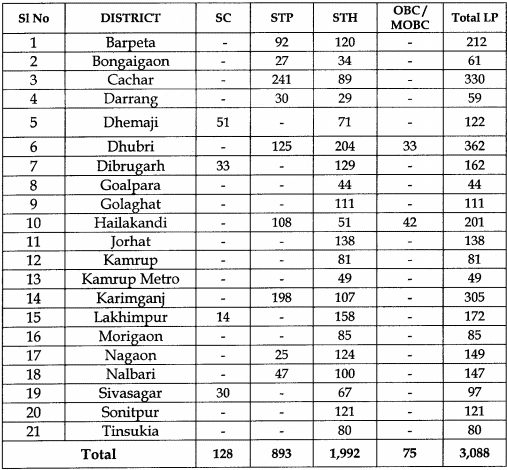 150/- for SC, ST(P), ST(H) candidates and free for BPL candidates] in the form of Indian Postal Order in the name of Director of Elementary Education, Assam, Kahilipara, Guwahati–19. The candidates must have to submit the IPO in originalat the time of document verification only, before the District Level Selection Committee of the district applied for.